The first generation of smartwatches is now history. With the Apple Watch on sale and on our wrists, every manufacturer has played its hand – and truth is, there's a long way to go until the smartwatch is perfect. Battery life has been a huge problem nearly universally and there's been some fairly horrendous experiments with usability and form factors. But if you look around the industry, all the answers seem to be present in some shape or form. That gave us an idea. Why not create a Frankenwatch – a horrific brandless freak bolted together from all the good bits from our favourite wearables? Of course, it's simply an exercise in identifying the good and bad, and the sliding scale of power, specs and design in wearable tech means that it's not possible to have everything, yet. Not even Will.i.am could manage that. So while 30 day battery life with 2-inch OLED screens aren't yet possible, indulge us as we take our blow torches, hammers and glue and create the first Frankenwatch: the world's perfect wearable. While the Samsung Gear S is an almighty cuff of a wearable, in every aspect its screen is amazing. Vibrant Super AMOLED with an insane 300ppi, it's big enough for a QWERTY keyboard – Samsung's smartwatch leads the way. When it comes to sports, the Garmin Vivoactive comes from fine stock, and the company's first smartwatch sets the standard. The on-board GPS tracks runs and cycles, and there's even a dedicated golf mode, too. And those who say that GPS is a huge strain on battery – take a seat. The Vivoactive lasts a week between charges as standard. Mio's heart rate tech is some of the best in the business, and if you're getting sweaty with your smartwatch you need its accuracy. What's more, while Mio does make its own bands, it already licenses its tech to Adidas, which means any future Frankenwatch can have the best tech at its disposal. While the notifications from Apple's army of apps is incredibly impressive, Google Now has the potential to blow everyone away. It's already capable of learning and displaying insanely personal information about your life, and with Google's incredible array of data at its disposal, it's one of the most impressive services out there. While Pebble's e-paper screen doesn't lend itself to gorgeous design, its Timeline interface is a real game-changer. Taking information and placing it on a timeline means the Pebble Time isn't simply a second screen for your phone – and it performs a service no other device in your tech armoury can. It's a refreshing take on the relationship between wearables and our smartphones and a dead cert for the Frankenwatch. Vector's still-to-be-released Luna smartwatch boasts an incredible 30-day battery life, while still boasting an always-on LCD screen. Yes, sacrifices have been made here, and the screen's duller than a long weekend in South Dakota, but charging once a month is a frequency we can get behind. 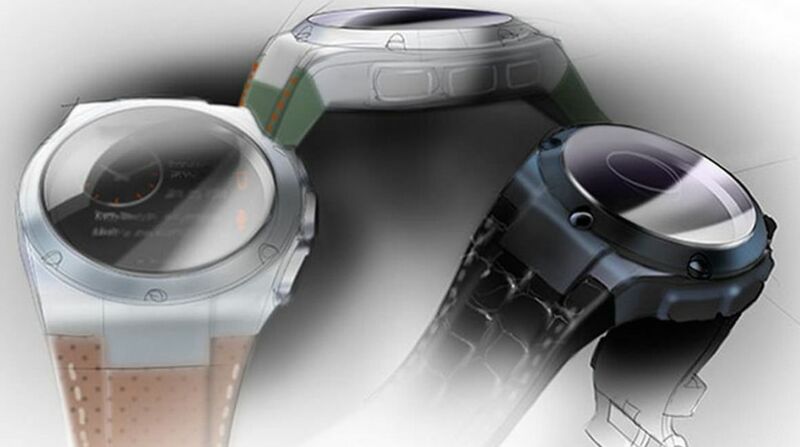 LG's forthcoming smartwatch adds a much-needed dose of style to Android Wear. While the Moto 360 and LG G Watch R threatened to be mistaken for real watches, the Urbane's heavy gold and silver bezels won't turn heads – for the simple reason it looks like a real watch, and an expensive one at that. While Apple has made great strides forward in customisation, the Moto 360's selection of straps is almost impressive. While the leather accessories came too long after launch for our liking, the Moto 360 uses a standard 22mm fitting, opening up a huge array of styles for a bigger range of budgets. Siri might be the queen of voice control, but it's Google Voice that feels like it's improving the fastest. With Google Now at its disposal, information feels more up-to-date, and at times impressively intuitive. Special mention should also go to Microsoft's Cortana, which hasn't made it to smartwatches, but does work with Fitbit on Windows Phone. With 3,000 apps available on launch day, even Google and Pebble can't match Apple's developer power with their colossal head starts. Yes, Apple Watch apps are extensions of existing iPhone offerings, but the array of top-name titles is incredibly impressive, and its army of devs have every chance realising the killer features of smartwatches of the future – just as they did with the iPad. After reviewing scores of smartwatches, it's safe to say that the Apple Watch is the only one with even an ounce of cool. No-one's chased us down the street to ask for a glimpse of an Android Wear device, nor have our Pebbles been conversation starters in bars. The Apple Watch is cool – and it makes you miss it when it's not on your wrist. So there you have it: our perfect smartwatch. If you don't agree with our choices, or think we missed out on important criteria, let us know in the comments below.